I’m working with DigiBC on a new project called VXperience, and one of the things we’re doing is spreading the word about British Columbia’s incredible pool of innovators working in a variety of digital sectors. We’re just starting to gather up some of their stories, but I wanted to get this information out as quickly as possible. 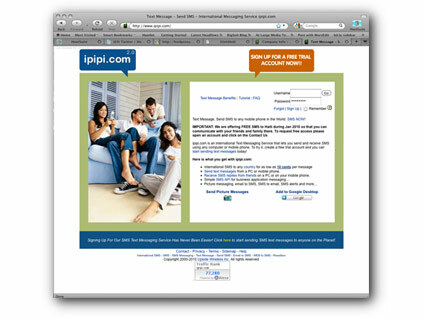 Branko Zurkovic from Upside Wireless emailed to say that IPIPI.com is offering free text messaging to Haiti. He says the company wanted to do what it could to help out, so their offering their service free – making it possible for friends and relatives to text to either of the networks in Haiti for free. And you can help out by sending this information to anyone you think might be able to use it.